Carrie Russell | Some find inspiration in the wilderness. Others find themselves hopelessly lost. A novel about getting lost in the desert and finding direction. When his botched cactus theft is mistaken for an eco-protest, Gordon Burstein is thrust into the national spotlight and expected to speak for the land he loves. He panics and runs, beginning a journey of self-discovery that takes him from spring break in Mexico, across the Sonora, all the way to Thoreau’s Walden Pond. Press and fans scramble to track him down, but no one is more determined than Mora Sullivan, a disgraced environmentalist who has fallen hard for Gordon. She treks into the desert, determined to find inspiration and love. 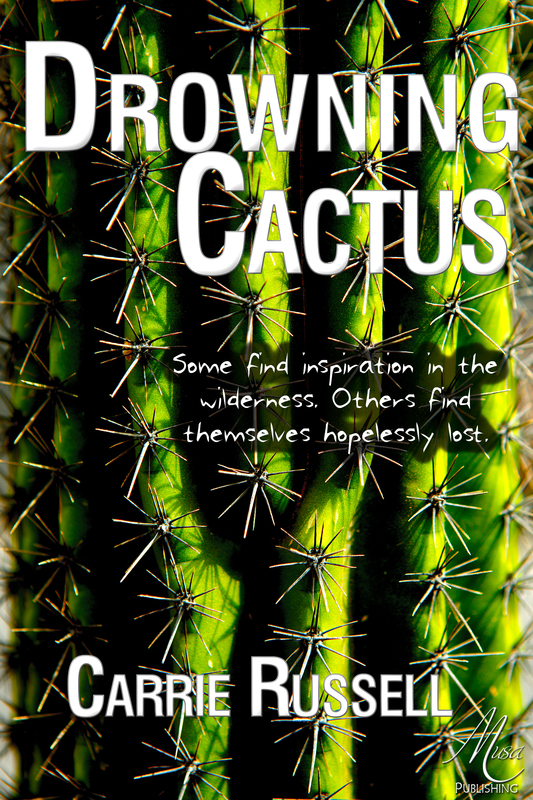 Gordon and Mora must survive the wilderness, evade the law, and confront the many lies they’ve told the world and each other—all before they attempt to rescue a truckload of cacti from drowning in a New England swamp. 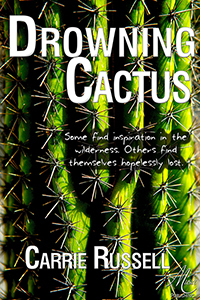 Discussion questions for Drowning Cactus are available in the Drowning Cactus Reading Guide. Just ordered the book! Can’t wait to read it!! Ordered it through Reader’s Cafe in Hanover. Have you considered doing a book signing there? Looking forward to reading it! Good idea and I’d love to, except for one wrinkle. I’m moving to Scotland on Wednesday. Maybe in a year, when I’m back in PA! Loved it! Can’t wait for sequel or unrelated next novel!